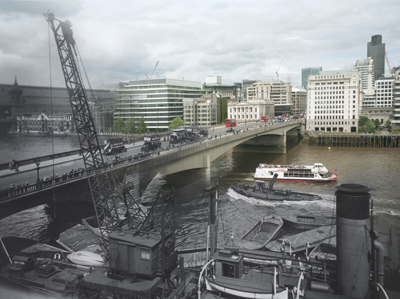 Some of 16 hybrid images showing London’s bridges old and new which have been released by the Museum of London Docklands to mark the recent opening of the museum’s new free art exhibition Bridges. The images have been created using historic photographs showcased in the exhibition which opened last Friday and runs until 2nd November. The photographs were taken by renowned late 19th and 20th century photographers, including Henry Grant, Henry Turner, Sandra Flett, Christina Broom, Roger Mayne and George Davison Reid. 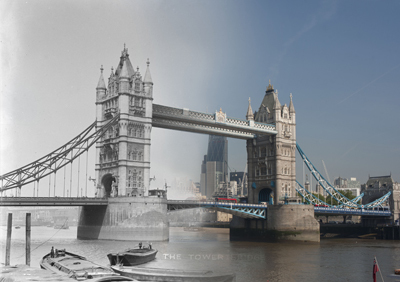 Above is Tower Bridge, taken by Christina Broom (c. 1903–10) from Shad Thames Jetty. For more, see www.museumoflondon.org.uk/docklands/. 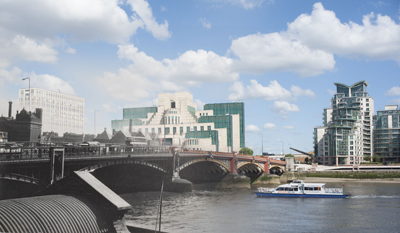 PICTURE © Christina Broom/Museum of London. 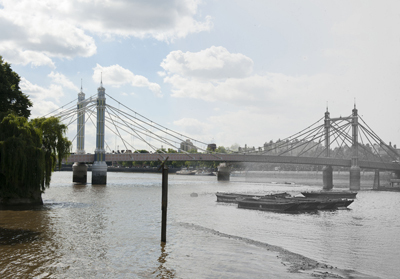 Albert Bridge (unknown photographer), Chelsea. Glass lantern slide, c. late 19th century. © Museum of London. 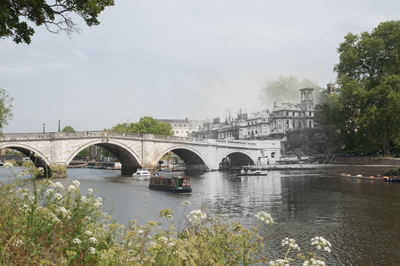 Richmond Bridge, glass lantern slide, c. late 19th century. Taken from the south side of the river. © Museum of London.